Ahmed Ahmed is a professor of gynaecological oncology and a consultant gynaecological oncology surgeon in the Nuffield Department of Women's & Reproductive Health at the John Radcliffe Hospital in Oxford. He is also director of the Ovarian Cancer Cell Laboratory at the Weatherall Institute of Molecular Medicine. My mother died of ovarian cancer in 1979 at the NIH in Bethesda, Maryland. They couldn’t treat her in Europe so we moved to the US. Also, I’ve been tested and I have a BRCA1 gene mutation, so for me it’s hereditary. So it’s a disease I’ve kept a bit of an eye on. I get the impression that since that date, there have been huge advances with other cancers, but with ovarian cancer, not so much—either in detecting it early or in curing it. Is that an accurate impression? Yes and no. You are right in that perhaps the progress that has been made in ovarian cancer doesn’t necessarily equate to the progress made in other cancers, like breast cancer. But there have been really, really major discoveries over the last 20 years or so that have had a major impact on patients with ovarian cancer and we are starting to see the impact of those discoveries already in patients. What kind of things are they, these big discoveries? One big development, that I can think of immediately, is actually related to BRCA mutation carriers. It’s the development of a drug called ‘olaparib’ or other drugs that target an enzyme called PARP. 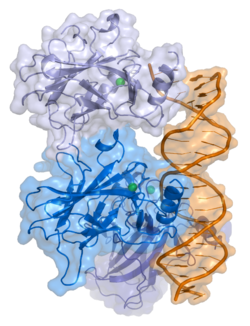 These are PARP inhibitors and they are highly effective in patients with BRCA1 and BRCA2 mutations, either in the tumour itself or those who are born with BRCA1 or BRCA2 mutations. We have seen patients who have failed to respond to second-line or third-line treatment. You start them on PARP inhibitors, and they show a durable response. So that is a major improvement and, only recently, NICE approved PARP inhibitors in certain, specific indications for ovarian cancer patients. This is one bright example, but we are still far behind. The mortality rates for ovarian cancer are still quite high aren’t they? What are the percentages at the moment? It’s around 40% overall survival, over five years. There are two broad reasons for that, in my opinion. One is, as you pointed out, late diagnosis. The majority of the time (more than 70%) we are still diagnosing the disease when it’s stage 3 or 4, i.e. when it’s spread to the abdominal cavity, or even beyond it. That’s a big problem. The other big problem is chemotherapy resistance, and our not being able to understand what are the subtypes, and what are the drivers of the subtypes, of ovarian cancer. So it’s unlike breast cancer, for example, where we know that there are estrogen receptor positive and negative, HER2 positive and negative, progesterone receptor positive and negative subtypes. For each one or combination of the above, you have specific treatments for the subtypes. In ovarian cancer we’re lagging behind. It might be because there aren’t any subtypes, that it’s just a homogenous, nasty disease. But that’s unlikely. We’re starting to see some indications of subtypes, but it will take time to see how this knowledge can be translated into therapeutic options. Is this partly because fewer people get ovarian cancer than get breast cancer, so there are fewer cases to study? That’s certainly a contributing factor, I think. With ovarian cancer in all its histological types we’re talking about 7,000 a year in the UK—as opposed to more than 55,000 a year for breast cancer. But, again, for ovarian cancer, there are dozens of types that look different under a microscope. Even if you look at the most common type—what we call ‘high-grade, serous ovarian cancer,’ which affects more than 75%-80% of women with ovarian cancer—we believe that there are molecular subtypes that are just not clear by looking under the microscope. How many women in the general population get ovarian cancer and in how many cases is it hereditary? It’s about a 2% lifetime risk of ovarian cancer. 10% of those ovarian cancers are familial, or hereditary, of which the major contributing factor is BRCA1 and BRCA2 genes. For anyone reading this interview who wants details about the symptoms of ovarian cancer or other practical information of what to do if you are diagnosed, I’d like to refer them to the website Ovarian Cancer Action, which is an incredibly impressive organization and will do a much better job than we can in a short interview. Ovarian Cancer Action funds your own research, amongst other things. Meanwhile, we’re going in a geekier direction, looking at some books and articles you’ve chosen that might be of interest to somebody who is thinking of going into ovarian cancer research, say. How did you get interested in it? You started at a very good Egyptian medical school, but then had to go to the US and UK when you wanted to do research, is that right? I’ve put my book choices in chronological order to answer that question. Maybe when you start asking me about the books, you will see the history and how it all progressed. But yes, it starts at the very beginning, when you start feeling that, actually, you need to do research to have a better understanding of how diseases start and work. And before even thinking about how cancer starts, you need to do a lot of research to understand how the body functions. When I went to medical school, as a naïve first year medical student, I thought everything was known. In fact, when you start reading some books, you quickly realize that yes, we know a bit about how things work, but a lot of the details are lacking. And then, as you progress through medical school, you start picking up on some diseases that seem more enigmatic than others. For me, ovarian cancer was a very, very enigmatic disease. As you very rightly said, there has been limited improvement in survival, limited improvement in understanding how it starts. That then started my interest in specialising in cancer. I realised that the Egyptian medical school I went to, and those professors who taught me, were excellent. I have been inspired by them. Coming to the UK has been very, very helpful in giving me the opportunity to do molecular research. I came here and did my PhD at the University of Cambridge, where there were endless opportunities to learn and study the mechanisms of disease. And already, at that point, you were interested in ovarian cancer? Oh yes. In fact my interest in ovarian cancer started around my graduation. I studied gynaecology and obstetrics in medical school. Then, after I graduated, I practised in Egypt for three years as a resident, or a junior doctor. Then I moved to the UK, and did three years of clinical training before I started my PhD. Then, after finishing my PhD, I went back to spending 50% of my time doing clinical work and did further training specifically in surgery on gynaecological cancers, including ovarian cancer. The other 50% of my time I was in a research laboratory in Cambridge. So am I right in thinking that part of the reason for you wanting to do research was frustration, in a clinical setting, that there’s not enough you can do for ovarian cancer patients? There’s not enough you can do as a doctor, but it was also a realisation that for those who want to understand more, who want to get to the bottom of how and why things happen, there are many questions, but not a lot of answers. You start thinking, ‘Okay, if we try to find some answers there, that could be very beneficial for patients, but also satisfy the scientific curiosity of the person who wants to understand more.’ Ovarian cancer is full of examples of areas that we just don’t know about. Let’s go through your book choices. 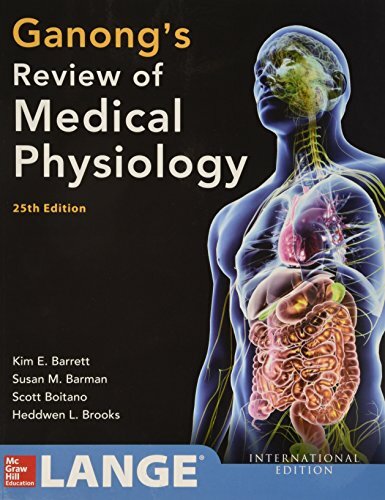 First on your list is Ganong’s Review of Medical Physiology. This was first published in 1963, and it’s now in its 25th edition. It’s probably not the most basic medical textbook, but tell me all about it. Ganong’s Review of Medical Physiology was recommended by my professors in Egypt, who taught me in the first year at medical school. We had one particular professor, Hani Ayoub, who was known for his love of understanding mechanisms, and he recommended this book. He used to refer to it in his lectures. It was very interesting but one of the most difficult books I have read. It keeps you really thinking hard about understanding and interpreting the knowledge. It ignites curiosity to go and read further. It certainly doesn’t—or at least it didn’t at the time when I read it—give you all the detail. When I started this book I remember, for example, reading how electric impulses are transmitted within the heart and how these then get translated into an ECG recording; how the two marry up. Trying to understand the basis of that in depth was fascinating for me: how that impulse would be transmitted, the so-called action potential, by changes in the concentration of sodium and potassium across the membrane of a cell, and how that generated what looks like an electric impulse. That was just amazing and fascinating to study. As you go through the book, you read how the retina functions in our eyes. We have photons that we accumulate through the lens of the eye and this then gets transmitted to the retina that has the sensors that can then transmit that to the brain, and give an image of whatever you are seeing. And I said, ‘Yes, I do need that. That is exactly what I want.’ That really started from reading Ganong and that in-depth thinking. And, as a textbook, it goes through the whole body, is that right? Yes, I just gave you the examples that stuck in my mind, and that moved me. It was not the ovary and how the ovary functioned at the time. It was the retina. And is this still what students are reading? I mean, if they’ve got a 25th edition now, presumably it’s still going strong. I think so. But Ganong is one of the tough ones. Perhaps not all students would be fond of Ganong. It gives you a flavour, an introduction, and then you need to go and think, if you want to. So it attracts people who want to go deeper. Yes, it certainly played a big role in shaping my interests from the first year of medical school. 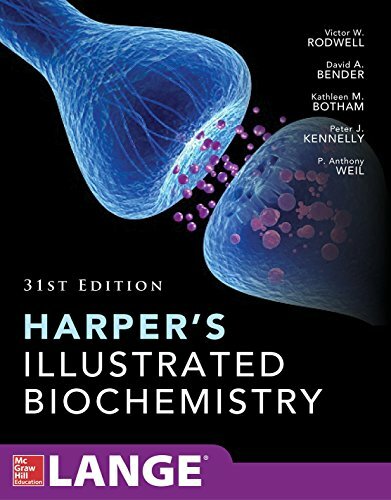 On to book number two on your list, which is Harper’s Illustrated Biochemistry. This is in its 31st edition, so I think must also be a classic. How does this book fit into your own trajectory? This particular book has, also, personal significance, because it was recommended to me by another professor from Egypt. This was Ali Khalifa, who was the professor of biochemistry at the time. He taught us in the first and second years of medical school and happens, also, to be my late father-in-law. I met his daughter Abeer, my wife, at medical school in the first year. He was the one who, in his lectures, as we were studying biochemistry, recommended reading Harper’s to understand DNA and RNA and how they work, and how a gene gets transcribed to give a message that then becomes a protein. It was all very, very new at the time, we’re talking about the late 1980s. Reading those chapters was just fantastic, because you start getting closer to understanding how the cells in our body work. That book opened my appetite, hugely, to trying to understand gene function, and the importance of genetics in cancer, because it is known that cancer is essentially, at its heart, the perturbation of gene structure and gene function. Could you explain what genetic means? Because I think there’s a tendency to think genetic is the same as hereditary, which it’s not. It’s how every cell in our body works. Every cell in our body has DNA molecules, and DNA is arranged in chromosomes that are present in a structure called the nucleus. There are about three billion base pairs of nucleotides, the building blocks of DNA, and there are four nucleotides, A, C, T, and G. They are essentially written as a huge dictionary of life. It’s a long string of “text” that has encoded in it the message of what a protein should look like. Within that DNA, 2% to 5% gets changed into RNA, and is called the messenger RNA. That message then goes from the nucleus to the cytoplasm, and each of three nucleotides gives rise to one amino acid. The bases (nucleotides) are the building structure of the DNA and the RNA. The amino acid is the building structure of the protein. So each of the three nucleotides will give one amino acid, and then one amino acid arranged after the other forms a protein. The proteins are things like globin, which is part of haemoglobin, which carries oxygen in our body. Or actin or keratin in our skin. Those proteins are the workhorses in our body. They do all the essential cell and body functions. So with cancer, problems arise in the gene? You get perturbations of the gene, either a fault in the gene sequence, or part or all of the gene gets deleted from the code. Then, if that gene is playing an important function, that could lead to a process that we call transformation, where a normal cell can change into a cancer cell. That is something that happens, as we will see with the book after next. Cancer has many defining characteristics and features but, for me, an essential component of it is genetic defects. Then what we observe about it is its uncontrolled cell division, coupled with invasion of other tissue. It goes beyond the boundaries, where normal cells are supposed to remain. The combination of the two, uncontrolled cell division plus invasion, for me, defines cancer. If you have it under a slide, can you immediately tell that it’s cancer? Yes, because the cells will be very disorganised. Their nuclei will be large. You will see the invasion of the basement membrane, which is the membrane in which the cells are supposed to be organised. This is for epithelial cancers. So yes, by examining a tissue section, you can tell whether or not it’s cancer. You take sections, you paraffin-embed them and you look at them under the microscope. Let’s go on to no. 3 on your reading list, which is an article published in the Journal of Clinical Investigation in 1981. In the abstract it says they have found an antibody, OC 125, which reacts with ovarian cancer cells. Tell me about this article and its significance. This was really the beginning of my huge interest in ovarian cancer, and also the introduction to my great mentor, Bob Bast, who is professor of oncology at MD Anderson Cancer Center in the US. This paper was introduced to me by my late father-in-law, who knew Professor Bast from conferences they went to together. He showed me this paper as an example of scientific research and it was fascinating. It was the first time that CA 125, which is the marker for ovarian cancer, was discovered. This was the paper that described that discovery. Currently, every woman who has an ovarian cyst, or has ovarian cancer, gets a blood test measuring the CA 125, so it’s a paper of huge significance in the field of ovarian cancer. What fascinated me about it was the clarity of thought, and the process by which Bob Bast and his colleagues on that paper found the OC125, which we now refer to as CA 125. What they were doing was raising antibodies to different proteins collected from ovarian cancer cells, and then trying, by using very sound scientific methodology, to go through those antibodies until they found one that reacted with most ovarian cells, but reacted with very little or none of the normal tissue. That was how the CA 125 was discovered. 125 is, as Bob tells me, the 125th attempt to find that antibody, so they named it OC125. So they were systematically going through them. Can you explain a bit more? What happens is that ovarian cancer cells produce a lot of a certain type of protein. It’s a glycosylated protein, so a protein that has glucose and other sugar components attached to it. It’s located on the outside of ovarian cancer cells, so it’s shed into the blood stream. What we do is we get a blood sample, and now have an antibody—which is the CA 125—which will react with that antigen if it’s there and gives a measurement, a level. So if a patient has cancer, these measurements will go very high. Normally, it’s less than 35, but it can go to levels of more than 1,000, say. As the patient gets treated with chemotherapy, the level of CA 125 goes down to normal again. We then use it for follow-up. So if it starts going up again we can detect recurrence, if the tumour recurs. So it’s really useful during treatment. How useful is it for screening? For screening, there is a huge UK-based study going on. The final results from that—to assess whether it’s going to be useful as a screening tool or not, in combination with ultrasound—are awaited, and we should be getting those in the next year or so. My colleagues Ian Jacobs and Usha Menon started this study many years ago. Until my late 30s I regularly had CA 125 blood tests as screening for ovarian cancer at Memorial Sloan Kettering in New York. My doctor at the time, Noah Kauff, always said, ‘Be careful. Even with the CA 125, even with ultrasounds, I won’t necessarily catch it early. So it’s best that when you finish having kids you just have your ovaries out.’ So that’s what I did. Though I’m hoping for my daughters that there will be screening options that can catch ovarian cancer very early, like the Pap smear does for cervical cancer, so that they don’t have to do this. But since CA 125, they haven’t found any new markers that are as good yet. Is that right? Not really. There are some new potential markers, including ones that we found in our own lab, like Sox2. But nothing has really reached the level of testing that CA 125 has had. It’s been around since 1981, so it has been exhaustively tested. Nothing else has been tested to the same rigour for us to know whether it’s going to be useful or not. It’s not the kind of thing you can test quickly? No, not really. I mean, this study for evaluating CA 125, the conduct of the study and then awaiting for the results, has taken—if I’m not mistaken—10 years, or even more. For just that piece of information, 120,000 women were recruited. It’s a huge study over a large number of years. In general, has the advent of ‘big data’ helped at all with ovarian cancer? Yes, of course. Big data can take a lot of forms. It could be medical records. It could be social media. It could be DNA sequencing data. Circulating DNA, RNA, or all of the above, integrated into one big data set from a large number of patients can be very, very useful. We have seen, for example, how useful they are in epidemiological studies. In the ‘Million Women Study’ with medical record data and data about patient history—whether they have taken contraceptive pills or not, whether they have had tubal ligation or not—we’re already seeing the huge power of this sort of data collection. For example, the link between taking the oral contraceptive pill and the reduction of the risk of ovarian cancer by 50% or so. These studies look at a huge number of women, their social life, their medical treatments. I think we are now in a phase where we are expanding the sources of these medical and non-medical records. This is the direction. Plus, if you take into account the DNA sequencing data, then clearly there is an enormous amount of information that can be mined. Let’s go on to your fourth choice. So now we’ve got ‘78 papers on p53.’ You’d better explain. So now I had moved to the UK. I decided I wanted to do research. I started my clinical training but I wanted to start a PhD. So I stopped my clinical training and I said, ‘Okay, the time has come. I’m going to do a PhD no matter what.’ It’s a big decision when you’ve reached a fairly advanced level of your clinical training, but it was something that I’d always wanted to do. So I started my PhD in a lab in Cambridge with Dr. James Brenton, who is currently a principal investigator at the Cambridge Institute. My PhD was on a technique called ‘expression profiling’ of ovarian cancer. Rather than looking at genes one by one, you get a read-out of the RNA level all at once from the same tumour. At the time that was very new and exciting. Now it’s the norm and who would do anything else? But then I drifted a bit and I said to James, ‘I want to take a subject that is believed to have been very well studied, and I want to read everything about it to try to understand what people do in scientific research.’ And I said I wanted to do what we call ‘a systematic review’ on p53. p53 is one of those genes that get mutated in many cancers. We call it the ‘guardian of the genome.’ It belongs to a family called the tumour suppressor genes, and its function is to detect errors and to make a decision to either correct the error or kill the cell. So if the errors in the genes are so vast that they cannot be repaired, p53 signals for self-destruction of the cell, a process we call ‘apoptosis.’ But if p53 is not functioning because it’s mutated, or deleted, or altered, then it gives a licence for the cell to transform and to become cancerous. So this was a very clear concept and I wanted to see how it related to ovarian cancer. I looked at every paper that had the keywords ‘p53’ and ‘ovarian cancer’ and I narrowed the search to ones that looked at what we call the prognostic, or predictive significance of p53. There were 78 of them. The prevailing view, back then, was that in cancers that have intact p53, if you gave chemotherapy, you induce DNA damage. p53 plays a role in self destruction, so then p53 will kill the cells. So those cancers would respond well to chemotherapy. In cancers where p53 was not working—because it was mutated or deleted—there’s nothing to induce self-destruction, and therefore when you give chemotherapy you get resistance. So I did a systematic review with two of my colleagues. We studied exactly what the scientists had done from the very beginning. How did they make a call whether p53 was mutated or not? What was the number of samples of ovarian cancer patients that they looked at, the statistical power of their study? If they had used an antibody to detect the expression of P53, which antibody was it? Which company? All the details. If they used sequencing, what were they sequencing? Were they sequencing the entire gene, or what we call ‘hotspots’ in the gene? It was so important that I did this for my own scientific career, because as soon as I started doing it, I quickly realised that there was a huge variation in the methodology used. What one researcher defined as a non-functioning p53 might not be the same definition used by another researcher. So you couldn’t really marry up all the papers, and reach a final conclusion. More than 8,000 ovarian cancer samples from about 8,000 women were included in those 78 studies from all around the world. And the conclusion was that really, there was no conclusion to be made, because of the variation in the methodology. That was very interesting and very good to find out very early on in my PhD. It was the motivation to then say, ‘Okay now what have we learned from all of these studies?’—I sound very arrogant here—’Can we design the study that can answer this question?’ If we’re going to do that we’ve got to get samples that are fresh, frozen samples, not paraffin-embedded, old samples. We have to make sure that most of the sample has tumour, and not a lot of normal cell contamination, because that can bias your sequencing result. Also, if you want to sequence, you have to sequence the whole gene and not just part of the gene, because otherwise you’d be missing mutations. We were applying quite basic principles, if you think about it. It wasn’t rocket science. But it was quite difficult to implement, because there weren’t a lot of fresh frozen samples around that you could do the test on. It was also very difficult, at the time, to sequence the whole gene. Cost also came into it. I remember I emailed David, who had then returned back to Australia, and I asked, ‘What’s special about the 45th patient?’ He said, ‘Nothing.’ Then, about a week later, a colleague of his, who was on cc, responded to the email and said, ‘Actually, there was something different, because this patient, when reviewing her slides, didn’t have high grade ovarian cancer. She had low grade ovarian cancer.’ All the others had high grade ovarian cancer. So then we said, ‘Okay, the immediate interpretation is that, in fact, the p53 mutation is present in all high grade cases of ovarian cancer. To confirm that, we wanted to look at the next hundred cases. But now we had to apply to a committee. The committee looked at our application and said, ‘You’re wasting your time. p53 has been studied for years and years and years. You must have made errors. This is a valuable resource; you cannot use it for this purpose.’ It was very frustrating. I decided to appeal and explained that these were not errors, as we had sent the samples blindly to a reference laboratory and got back the same results. These were true results. Anyway, finally the committee agreed, and we got the next 100 samples. It turned out that 96.7% of high grade serous ovarian cancers had p53 mutations. That changed the idea that the p53 mutation is a decisive factor in whether or not chemotherapy will work. It is not. But the exciting part was also finding out that the p53 mutation is a very important—if not essential—component of the start of high grade serous ovarian cancer. Then can you do anything with it? Well yes. For a start, you could, for example, look for circulating tumour DNA for p53 mutations as a screening tool, which I know people around the world are testing. You could look for it in the vaginal fluid at the same time as having a Pap smear—because if you know that the mutations are essential, then you can detect those mutations early, and then you’ve got a good chance. But also, in terms of a mechanistic understanding, you can now try to understand what’s so important about the mutation of p53 for ovarian cancer cells. Why is that a requirement? So these are areas of active research. When was that, that you discovered this? We started this work in 2001, just before I started my PhD, and the paper was published in 2010. How did you move the ovarian cancer samples around? We don’t get the samples, in fact, what we got was the DNA. They’re shipped by FedEx or DHL, and kept cold in dry ice, which is solidified carbon dioxide and keeps the temperature at about -20. Do many people collect samples? David and his colleagues really had the vision when he started that collection and by the time I met him, he already had a large number of samples. Now there is awareness of the need, so when I started my lab, the first thing I did was to start a collection of frozen samples, because I knew how important it is. When did you start the lab? I started it here in 2010. That is when I moved to Oxford. Right. So in terms of the 78 papers, what kind of publications does one find them in? 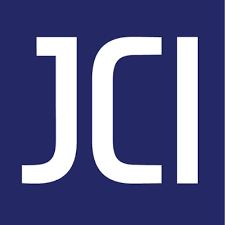 They are all scientific journals, such as the New England Journal of Medicine. Essentially you go onto the PubMed website, and you do a search using the terms ‘p53’ and ‘ovarian cancer.’ You get the big list, and then you start to make a shorter listing. Because of having a BRCA1 mutation, I got in the habit of reading extracts from these kinds of medical journals to see what the latest research said. Then, when my father was very sick with prostate cancer, we did similar research and found out about a new drug that had just been approved in Europe. We suggested it to his Dutch doctor, who prescribed it. That really kept my father alive and well for an additional year. If you don’t go crazy, you can learn a lot from looking at these kinds of papers. I think you’re very right in that. Patients can really help themselves a lot by looking and reading, and then discussing it with their doctor and going for a second opinion—and more opinions, if needed. Your last choice is more about data analysis, is that right? 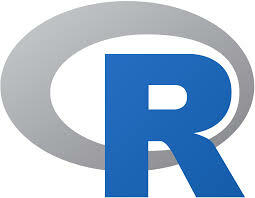 It’s called An Introduction to R.
This is coming back to the idea of large data. R is open source software that enables you to do statistical analysis, mathematical equations, and some programming as well. R was in fact introduced to me by Dr James Brenton, my PhD supervisor. When I joined him as his first student, he was just starting the lab and he knew how to use R, but nobody else in the lab did. Since then, I’ve become a huge fan of R, and of James, of course. You can just download it from the internet and you’ve got something that’s extremely powerful at your fingertips and free of charge. You need to know how to use the command line properly, which you can teach yourself, or go on courses. This book, The Introduction to R, got me started learning about R, and I now recommend it to all my students. What kind of thing can you analyse with it? Can you give an example? Any data that is presented in table format you can import into R, and then do data analysis with it. That, of course, now includes any of the big data sources. What we use it for a lot in my lab is to analyse DNA or RNA sequencing data, to look for mutations, or for gene expression, and correlate those with disease outcomes. Editor’s note: If you would like to make a donation to Ovarian Cancer Action and the research they fund you can do so here.